The trip starts and ends at Guwahati, capital of the state of Assam in the North-East region of India. Guwahati is connected to major metros of India by flight, and by rail. Day 1: Arrive at Tezpur- 4hrs from Guwahati. Day 4: Tawang local and monastery visits. Day 1: Arrival at Guwahati, from where we will drive down to the historical city of Tezpur . We spend the night at Tezpur. Day 2:After an early breakfast, we head out to Dirang/Bomdila. Enjoy the spectacular scenery as you drive up the Eastern Himalayas, with snow-peaked mountains in the distance. En-route we visit Tipi orchid centre, a glass house with over 7500 orchids. Overnight: Dirang or Bomdila. Day 3: We leave for Tawang after breakfast. On the way we stop at the breathtaking Sela Pass (at 13,714 second highest motorable road in the world), where you can see frozen lakes in the winter. Also visit the Jaswant Garh war memorial which honours the brave soldier who single handedly tried to hold off the approaching Chinese from the pass during the 1962 Chinese war. Day 4: In the morning, we will visit the birthplace of the sixth Dalai Lama, and drive onto the upper Tawang area, with some lovely lakes and mountain scenery. In the afternoon we will visit the 400- year old Tawang monastery, which is also the second largest after Potala in Tibet. The monastery is currently home to around 450 lamas. 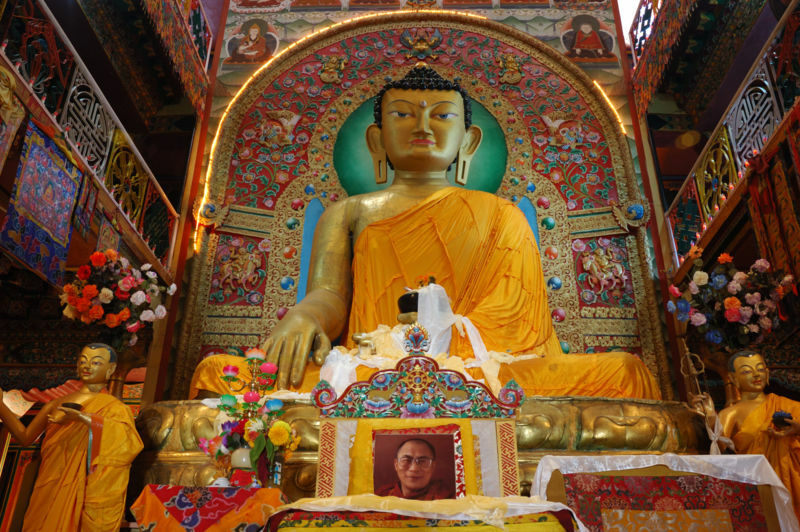 We will spend some time understanding the history and cultural significance of the monastery, which is considered to be at the heart of the spiritual life of the Monpa Buddhist people of Tawang. Day 5: We drive down to Dirang, where we will visit the Dirang monastery, which is located on the banks of the Sangti River. If time permits, later in the day we can visit the Yak research centre in Dirang. Day 6: We leave Dirang and make our way to Bhalukpong. Here we will be staying next to the Jia-Bhorali River, which is famous for angling. Walks along the river (and a dip or two) are part of the itinerary, to refresh you after your long drive. Bird-watching is great here, so be ready with the cameras and binoculars! We spend the night at an Eco-camp by the river. Day 7: After breakfast we drive back to Guwahati. We reach the city in the afternoon where you check into your hotel and in the evening you are free to visit the local markets to buy some famous Assamese raw silk (Muga, Pat and Endi) items. Can you give me more details of this trip on my email? – Is it fine to do it sometime mid-November? What the weather like? – Total cost per head. Please give me the dates of this trip and also update me about individual expenses. I am solo fricker and enjoy travelling with a group like this. Please send me the overall details. wld also like to do kaziranga , cherapunjee and majuli etc along with tawang. do you have a trip with all this? I would be interested in doing this sometime in February. If you have a group going in February, could you please let me know? Hi, sent you email on this. Can we bring along our 2-yr old daughter on this trip? I will love to do it on Feb 19-26 trip so i will be happy to know more about it… So please do let me know about the strength of the group and what ever u think is good for me. Sent you details by email, thanks for writing to us. Please send me the overall details which is necessary for me..
Hi, this trip sounds interesting. However, i was looking at a smaller budget per head. Please let me know the possibilities. Additionally, would be great if you could let me know about self drive options from Guwahati(i don’t have a vehicle there). Please let me know cost of this tour and please tell me if we can take this tour on October 4th onwards.